How many people remember the signs at their local YMCA that read “No one under the age of 14 permitted in the weight room”? This always drove me crazy when I was twelve and thirteen years old because all I wanted to do was go into the weight room and lift with the guys. In return, this taught me how to bench and squat by myself in our basement and learn how to ditch a bar if I got stuck. Maybe not the best thing to do, but I was a kid and I wanted to train. The last five years of my life have been spent primarily training athletes from seven years old to eighteen. As with any activity, there can be injury, but it might be shocking to know that strength training has one of the lowest injury rates when compared to other sports. In a study done by the National Strength & Conditioning Association (NSCA), strength training caused 0.7% of injuries, while football was at 19%, basketball was at 15%, and soccer at 2%. (2) To limit the possibility of an injury to a youth athlete, it would be recommended to have a qualified instructor or coach with an athlete to coach ratio of 10:1. 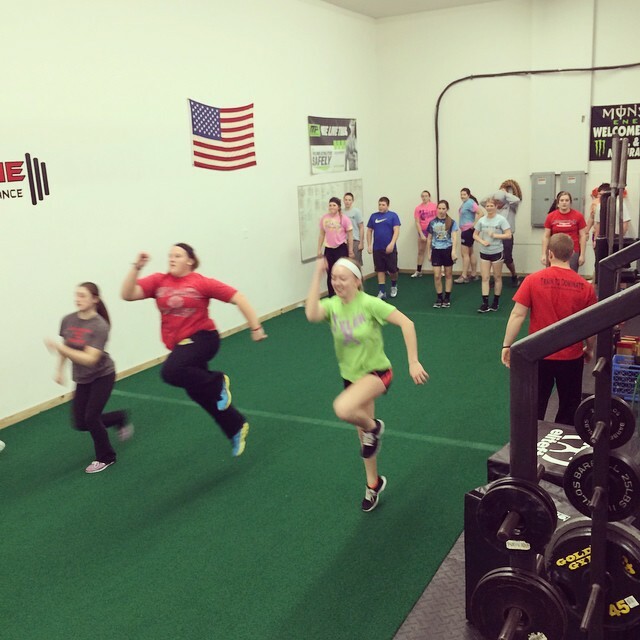 The qualified professional should have a designed workout that pertains to the needs of the group of athletes. Some people may be concerned about stunting growth or closing off growth plates. I know this was something I heard a lot about when I was growing up and I still field a lot of questions from parents about closing off growth plates. The interesting thing about this topic is that there has never been documentation of this actually happening. As time moves forward, we are starting to realize that the myth of youth strength training being dangerous is a thing of the past. Those benefits listed are no different than how strength training could help a college athlete or even an adult who is no longer active in sports. Keep the program fresh and fun varying rep schemes, volume load, intensity etc. These basic guidelines could be very helpful for someone who is new to training youth athletes. Gradually progress your young athletes as they become more comfortable with the training. One mistake I have made and I have seen other private sector trainers make is to make every training session harder just to see the athletes tired. While this might make for awesome YouTube videos and get you likes on social media, it isn’t helping your athletes. Coaching youth athletes isn’t about boosting your ego, it’s about helping them reach their potential. With the popularity of youth sports on the rise, it is more important now than ever before that we teach youth athletes and their parents what will help them the most. Not every youth athlete will see the benefit of strength training and they will only do it because a coach or parent is telling them they need or have to. The upside is, if you can change one kid’s life with training each year, then they will be able to pass that down to others who will also pass it on. Coaching youth athletes can be the best job in the world because you get to educate the athletes and also their parents on what will help make them better. Faigenbaum, Avery, and Lyle Micheli. "Youth Strength Training." American College of Sports Medicine. Web. 15 Oct. 2014. <http://www.acsm.org/docs/current-comments/youthstrengthtraining.pdf>. Faigenbaum, Avery D, William J Kraemer, Cameron J R Blimkie, Ian Jeffreys, Lyle J Micheli, Mike Nitka, and Thomas W Rowland. "Youth Resistance Training: Updated Position Statement Paper From the National Strength and Conditioning Association." Journal of Strength and Conditioning Research (2009): S60-79. Print. Howard, Rick. 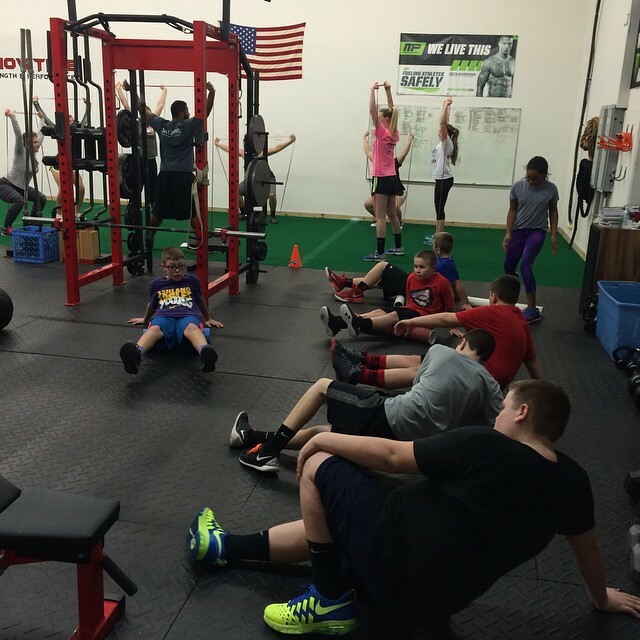 "Why Youth Strength and Conditioning Matters." NSCA. Web. 5 Oct. 2014. <http://www.nsca.com/education/articles/why-youth-strength-and-conditioning-matters/>. "Tween and Teen Health." Strength Training: OK for Kids? Mayo Clinic, 18 Jan. 2012. Web. 12 Oct. 2014. <http://www.mayoclinic.org/healthy-living/tween-and-teen-health/in-depth/strength-training/art-20047758>.